5) Animals included exotic specimens like stags, aurochs, crocodiles and even ostriches. Animals and their subsequent butchering was an intrinsic part of many a spectacle held inside the great Colosseum. We already know of the exhibition of more than 5,000 wild animals, when the Colosseum was officially opened by Emperor Titus (who was Vespasian’s successor) in 80 AD. Emperor Trajan did one better during his victory celebrations, by introducing 11,000 animals and over 10,000 gladiators – and they were all involved in a string of bloody, clamorous displays for 123 days at a stretch. 6) During Middle Ages, the Colosseum had other uses too, like being a castle, a cemetery and even a housing complex. After the period of 6th century, the Colosseum gradually fell into disuse, with the last recorded animal fight being held in 523 AD. In the centuries leading up to the conventional medieval times, the arena may have been used as an expansive cemetery ground. During the same period, the numerous arrangements of vaults, arcades and alcoves underneath the seating tiers were used as workshops and residences, with some even requiring rent for habitation. By the early 13th century, the Frangipani family (a powerful baronial family from Rome) took control of the Colosseum, and turned into a fortified castle. In the following years, the stones from the landmark were illegally quarried, to be used in proximate buildings like churches, mansions and hospitals. But perhaps the most bizarre (and yet probably conscientious) plan concerning the amphitheater, was made by Pope Sixtus V, when he decided to utilize the monumental structure as a wool factory that would provide employment to the emancipated prostitutes from the local area. A century later, Cardinal Altieri authorized the use of the amphitheater as a stadium for bullfighting – but the proposal didn’t go ahead due to the interference of the city nobles and eminent citizens. 7) The Colosseum was consecrated in memory of Christians martyred there, in spite of no evidences being found of such occurrences. The Colosseum became church property by late 13th century. 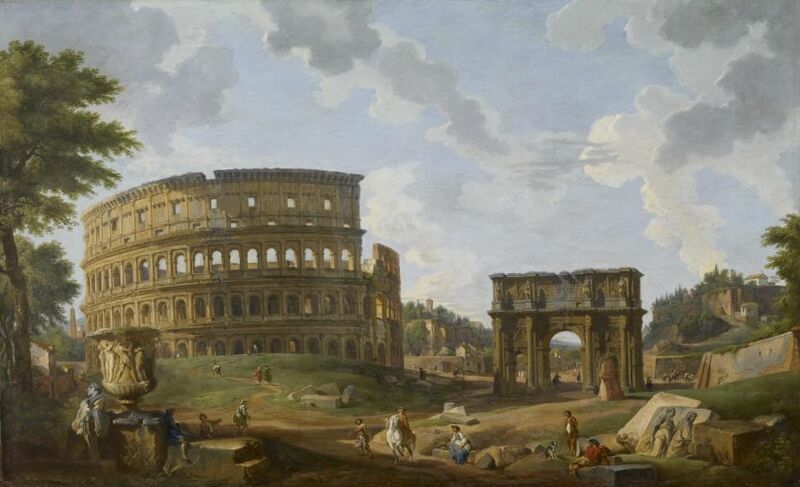 And finally, in 1744 AD (or 1749 AD), Pope Benedict XIV made the momentous decision of consecrating the amphitheater as a sacred site – in memory of the early Christians who (supposedly) died as martyrs in front of the howling Roman crowd. Since then the Colosseum has been associated with Christian martyrdom, with parallels even found in latter literary works, like George Bernard Shaw’s play Androcles and the Lion. 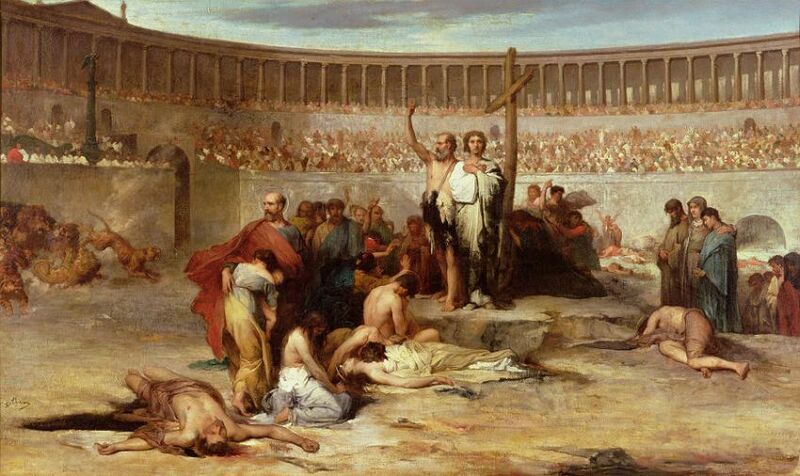 Unfortunately, as far as historical evidences go, no connections have been found between the grand monument and such early instances of religious martyrdom (as opposed to credible proofs being documented in the case of Circus Maximus). In spite of such disputable claims, contemporary visitors can still find a cross in the arena that had been probably embedded during 18th century. 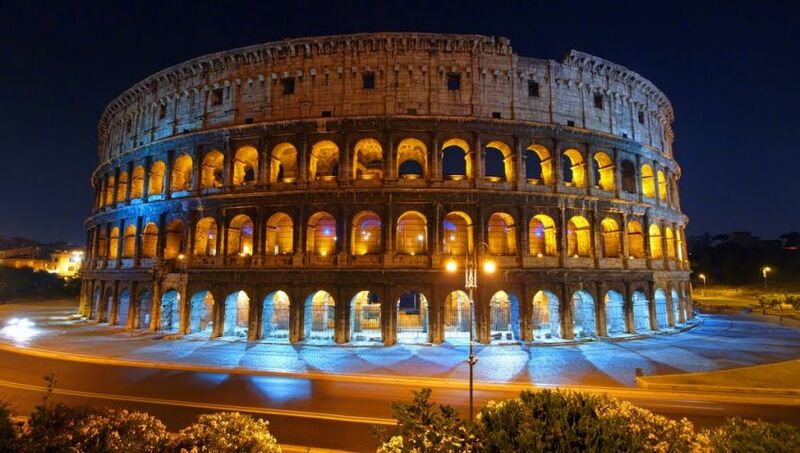 8) The Colosseum changes its color when any death sentence from the around the world is commuted. 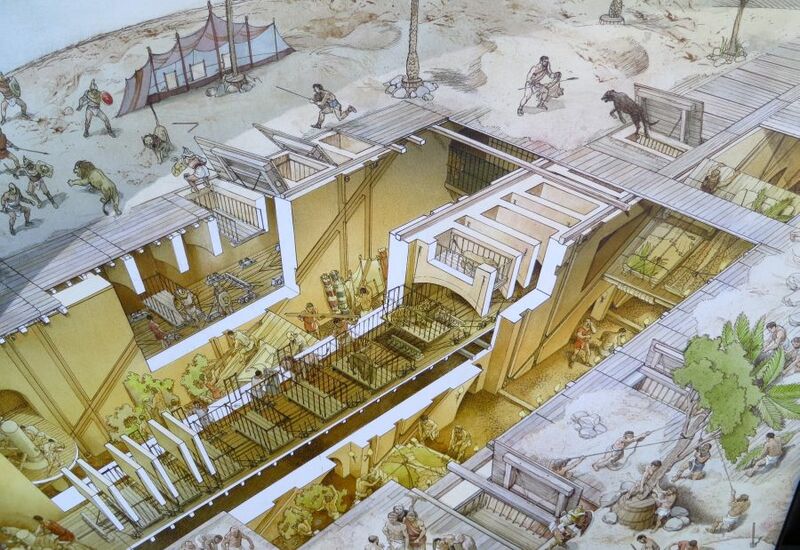 Historical evidences however do clearly suggest the vicious scope of carnage that took place inside the amphitheater during its heydays – be it of ordinary criminals, innocent animals or professional gladiators. To that end, in the recent years since 2000, the Colosseum had been antithetically chosen as the symbol against capital punishment. As a gesture of goodwill towards this movement, the authorities of the Colosseum change its night lighting from white to gold when a death sentence has been commuted or when death penalty has been abolished – from anywhere in the world. A striking example of such poignant illumination would be from the month of April 2009, when the US state of New Mexico revoked its capital punishment system.